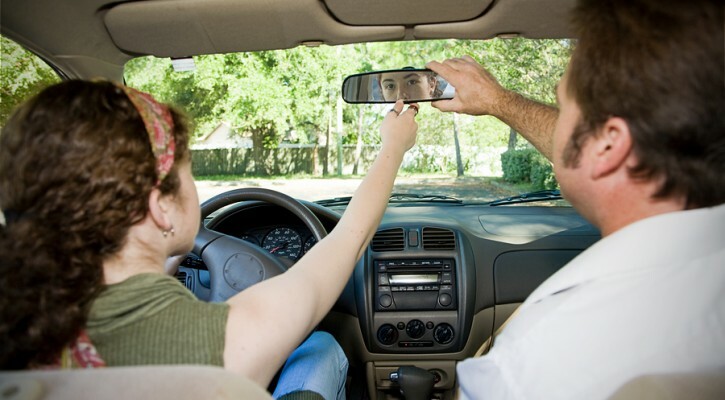 Safe Teen Driving Blog - Page 22 of 67 - Safe Teen Driving Blog - Providing a solid base for teen drivers by improving behavior, attitude, skills and experience. Ask The Driving School Instructor: In Florida, can you drive at night with a learner’s permit? Question: Can you drive at night with a learner’s permit in Florida? Answer: Under Florida law, a driver with a learner’s permit is restricted to daylight driving only for the first three months after receiving their learner’s permit. After the first three month period, you should start to practice driving at night. In fact, your parent or guardian must certify that you have had at least ten hours of supervised driving experience at night but you must receive that training before 10:00 at night. A driver with a learner’s permit is not allowed to drive under any circumstances between 10:00 p.m. and 6:00 a.m. Ask The Driving School Instructor: Will New Laws Be On The Driving Test? Question: I heard that there are some new driving laws that were passed in Florida this year. Will those they be on my driving test? Answer: The Florida legislature has considered some changes to the driving laws this year but none of them are laws yet. If they pass the legislature and are signed into law by the governor, the laws probably won’t take effect until July 1st at the earliest. Some will go into effect on Oct. 1st and some on January 1st of next year. Your written driving test will be based on information in the Florida Driver Handbook and the latest version of that handbook was published in 2014. If you notice, at the beginning of the handbook, there is a section called “Important Law Changes”. That section will have all the new laws that have gone into effect as of the date the handbook was written. You’ll only be tested on the information that is currently in the handbook and not on any laws that may have been passed since then. Of course, if you go to take your behind-the-wheel driving test, you should be aware of any new laws that may have gone into effect and, even if a law, such as the new law against texting and driving, isn’t mentioned in the manual, it’s a good idea to obey it.